« Allods reaches for the Evony playbook. 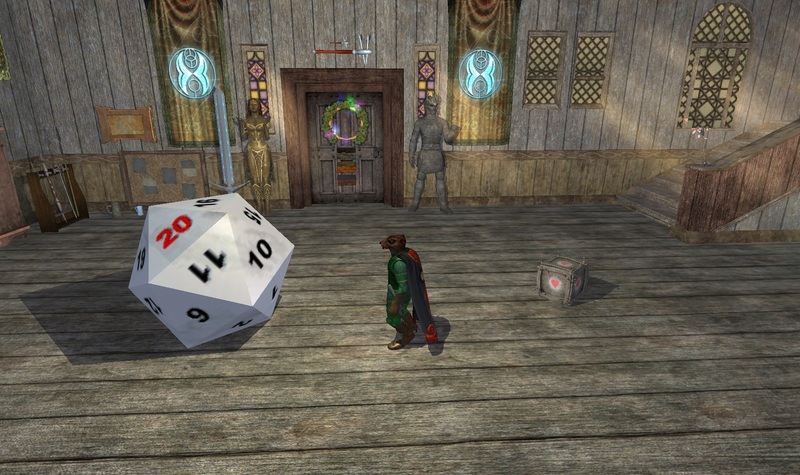 Everquest 2 – The Stone of Gygax! You can rolls abouts as much as you likes, but don't be smashings the 4th wall! Behold the mightiest of artifacts, the Stone of Gygax! Not only a house item, but a roving housepet that is sure to critically hit its way into your heart! The Stone of Gygax is available for today only, from a nice Sphinx by the name of Imenand, sitting near the Enchanted Lands docks. Her quest, “Riddled throughout the Land” involves a fair bit of travel, but using the conveniently located spires to the south will help speed things up. No spoilers here, but the usual suspects have a write-up already. What home is complete without some polyhedral dice? Not Maltheas’, that’s for sure! It is a fine tribute to a man that helped shape a generation of fantasy gamers. 1 comment to Everquest 2 – The Stone of Gygax!